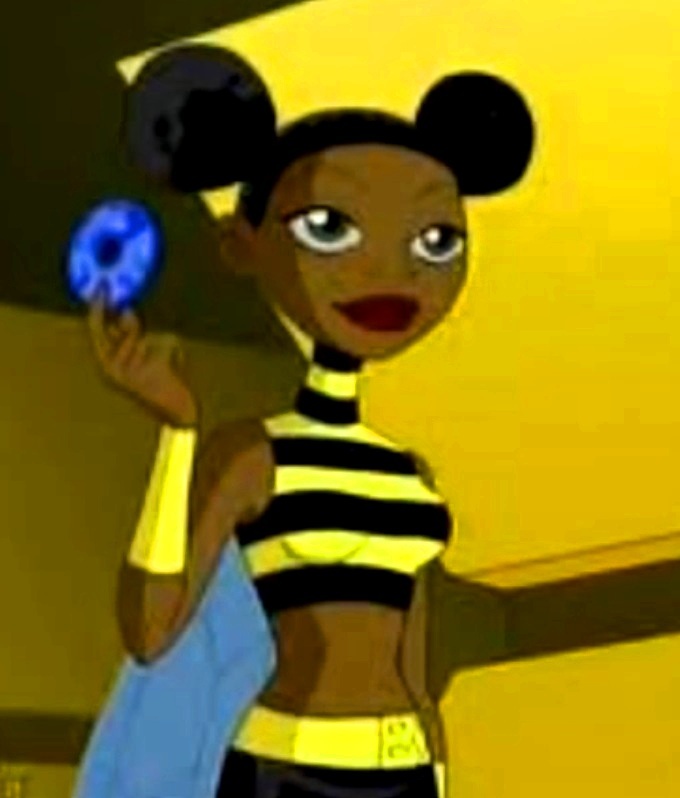 She's Fantastic: Teen Titans - BUMBLEBEE! 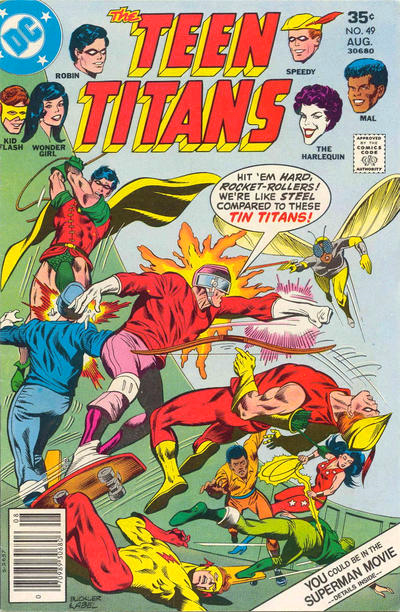 Teen Titans made major comeback in the early 2000s with their extremely popular animated series on the Cartoon Network. 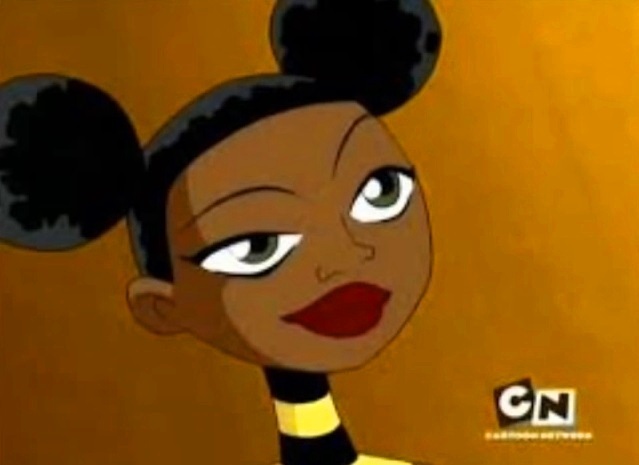 This show definitely wasn't my speed at all (it was totally geared towards kids), but I loved seeing all these cool characters being reinvented for a younger audience. 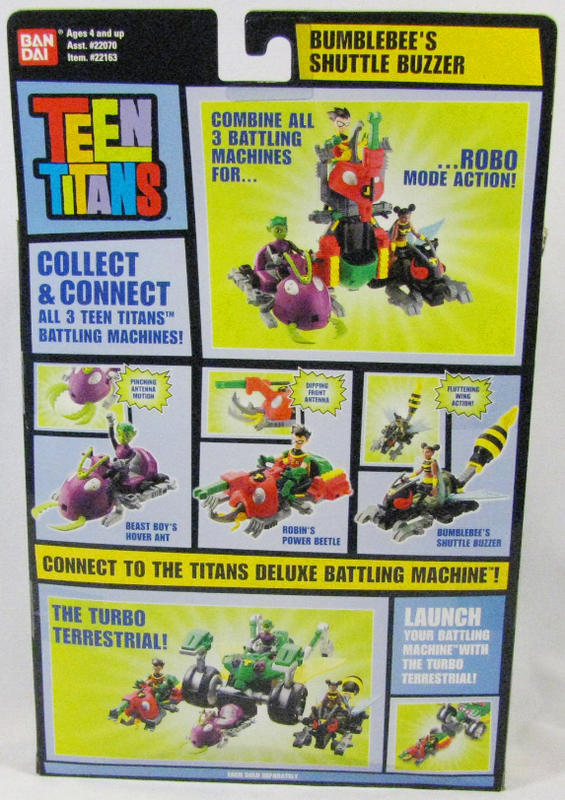 The massive amount of merchandising was a bonus, too. 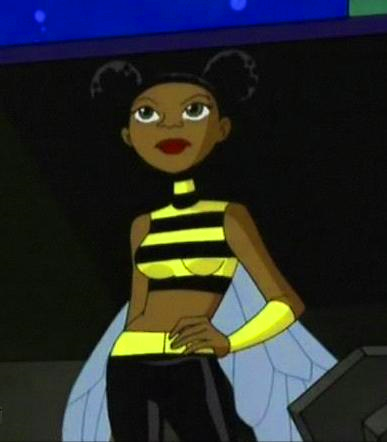 I doubt we would have ever seen a Bumblebee action figure if not for the popularity of this show. This Bumblebee figure can fetch a pretty penny on the secondary market, so I confess that this is a figure I bought for a few dollars from a seller in China. 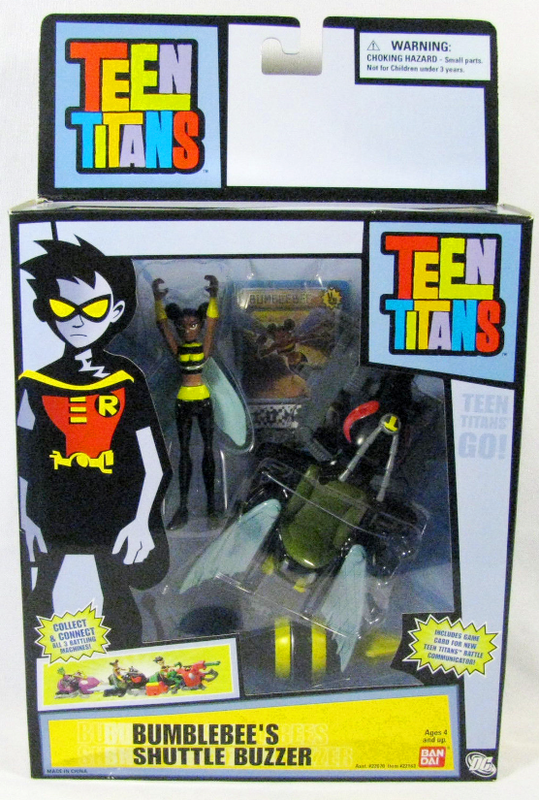 The real release of this figure had cleaner paint lines and came with either a bee-themed vehicle or another 3.5" figure in the 2-Pack series. 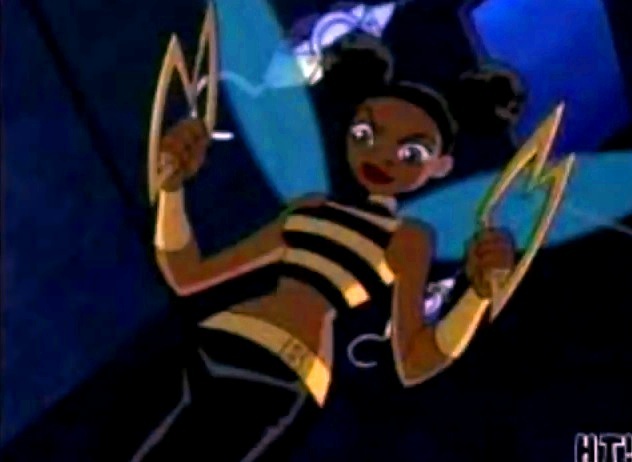 Bumblebee has no true superpowers, but derives her unique skills from technology. 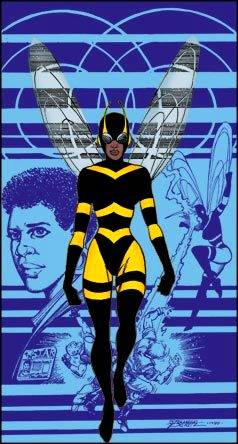 She can fly, her armor is strong, her speed is increased, and she can emit stinging blasts. 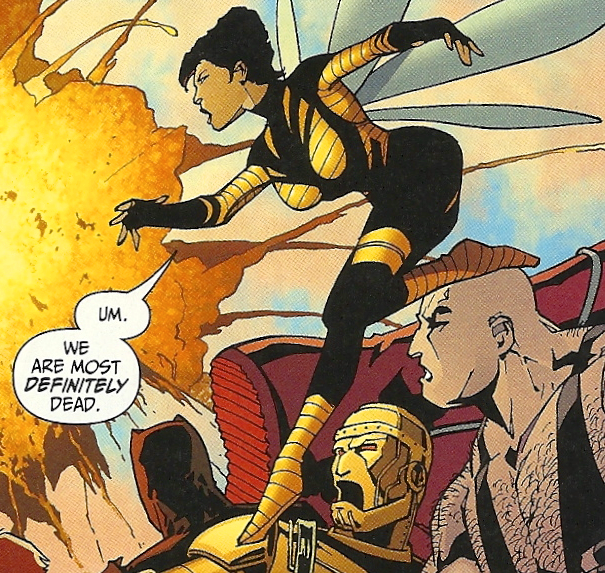 Occasionally she shrinks in size a'la Wasp, but that skill seems par for the course with an insect-themed character. 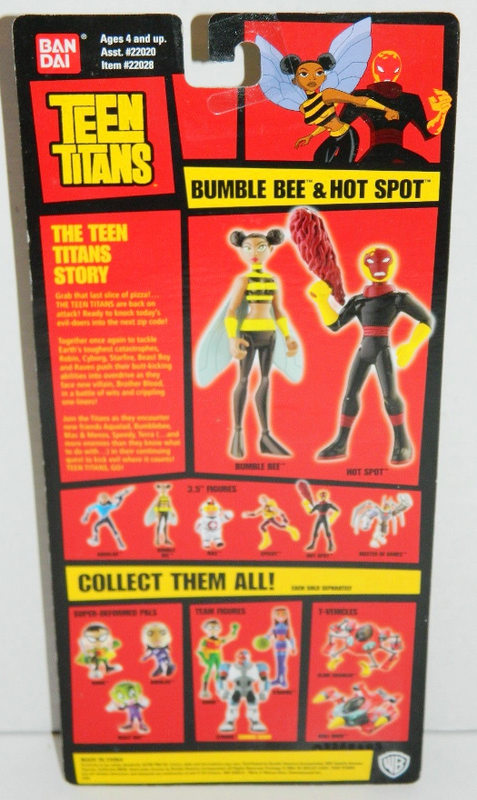 As mentioned above, I purchased my figure loose from a questionable source, but originally Bumblebee (sometimes spelled "Bumble Bee" on the packaging) was released in both a deluxe vehicle set (Bumblebee's Shuttle Buzzer) and in a character 2-Pack (Bumble Bee and Hot Spot). Mine has a yellow dot on her nose that I didn't even notice until I saw these pictures. She is articulated at the Neck, Shoulders, and Legs -- very similar to a Justice League figure. Her wings are also detachable with a small peg anchored in her back. I have an original I picked up second hand, but she's lacking her wings. I have considered picking one of these Cheap Chinese eBay versions up so I can at least give her wings. You totally should. She's an adorable little figure. I've noticed a lot of the China auctions are missing the wings as well though.. Be careful! I adore this figure. Mine came with Robin and they are the cutest. 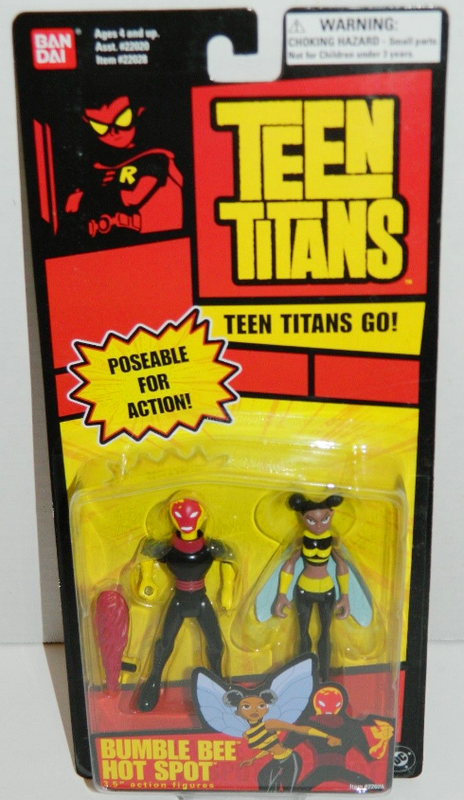 It's funny how this one is so good, but (in my opinion), the Terra, Starfire, and Raven figures aren't "Must-haves" like she is. Especially not at their after-market prices.